This Repair Service Agreement ("Agreement") is not an insurance contract. Unless otherwise regulated under state law, the contents of this Agreement should be interpreted and understood within the meaning of a "service contract" in Public Law #93-637. “We”, “Us” and “Our” mean the company obligated under this Agreement, Federal Warranty Service Corporation (“FWSC”) P.O. Box 105689, Atlanta, GA 30348-5689, 1-877-881-8578 and in Oklahoma, Assurant Service Protection, Inc., P. O. Box 105689, Atlanta, GA 30348-5689, 1-877-881-8578. “You” and “Your” indicates the purchaser of this Agreement, including the Lessee, if the Product was acquired under a lease-to-own arrangement (“LTO Arrangement”). For a LTO Arrangement, “Lessee” means the payor customer leasing the Product and Agreement; and “Lessor” means the owner of the Product and payee of cash benefits under this Agreement until You fulfill Your obligations under the LTO Arrangement necessary to acquire full ownership of the Product and this Agreement. "Agreement" means this Agreement and includes Your invoice for the Product and the plan selected. "Retailer" means the store You purchased the products covered under this Agreement from. "Product" means the consumer item which You purchased concurrently with and is covered by this Agreement. "Administrator" means Conn Appliances, Inc. ("Conn's"), 3295 College Street, Beaumont, Texas 77701, 1-800-280-1514. In consideration of the amount paid on the invoice for this Agreement, and except as hereinafter provided, We will make all necessary repairs or replacement of the Product and product parts resulting from normal wear and tear and from certain accidental damage such as liquid spills, electrical surges, accidental breakage, drops, falls or other collisions of the Product identified on the invoice referenced above, at the owner's address as identified on the invoice. Accidental damage coverage, as indicated on Your invoice, must be purchased for accidental damage to be covered. THIS AGREEMENT IS EFFECTIVE DURING THE TERM OF THE MANUFACTURER’S WARRANTY, AND THEREAFTER UNTIL THE END OF THE AGREEMENT; IT DOES NOT REPLACE THE MANUFACTURER’S WARRANTY, BUT PROVIDES CERTAIN ADDITIONAL BENEFITS DURING THE TERM OF THE MANUFACTURER’S WARRANTY. Term: The coverage period for this Agreement starts on the date of purchase and expires on the date shown on the invoice, unless the Agreement is fulfilled in accordance with section 10, included but not limited to, replacement of the Product. Additional Coverages: The following additional coverages are included: Computers: System restores, if needed (Your original install CD may be required), back to the manufacturer's specifications as a result of a covered repair. 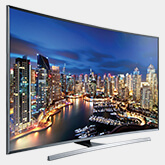 Televisions: Replacement of one defective remote control over the term of the Agreement. The defective remote may be required before a replacement is provided. Removal and reinstallation of a television on a stand or wall mount as a result of a covered repair. Appliances: Verified food loss of up to $150 on refrigerators and up to $250 on freezers, per occurrence, over the term of this Agreement as a result of a covered failure. LTO ARRANGEMENT: If You acquired the Product and this Agreement through a lease under a LTO Arrangement, You are entitled to all non-cash benefits under this Agreement until You acquire full ownership of this Agreement and the Product. Until You acquire full ownership of this Agreement and the Product, any rights to a cash settlement or cancellation refund under this Agreement will belong exclusively to the Lessor. Upon acquiring ownership of this Agreement and the Product, You are entitled to all benefits under this Agreement. Deductible: A deductible of $50 will apply to all repair services on cell phones. The deductible is due at the time service is scheduled. If You Need Service: Service shall be rendered during normal working hours and within the territory serviced by FWSC’s Administrator. The Administrator will make a reasonable effort to arrange for service outside of the territory serviced. In the event the Administrator is unable to arrange for service outside of the territory serviced, the Administrator at its sole discretion may elect to reimburse You for the cost of necessary repairs up to a reasonable and customary amount for such repairs. For customer assistance in obtaining service under this Agreement, please contact Conn’s through its website at www.conns.com, check your local listings for your nearest Conn’s Service Center, or call 1-855-266-6349, Monday thru Friday, 8:00 a.m.- 8:00 p.m., Saturday, 8:00 a.m. – 6:00 p.m. and Sunday, 10:00 a.m.- 6:00 p.m., Central Time. All service issues should be reported as soon as possible to prevent delays. It is Your sole responsibility to protect the Product from further damage. If a carry-in plan was purchased, You will responsible for delivering the Product to Your nearest Conn’s Service Center or Conn’s retail store. We may also elect to provide You a pre-paid shipping label to mail in Your Product for service. At the time of service, You may have the option to purchase in-home service for an additional fee. If an in-home plan was purchased, service will be provided in the home. It may be necessary for a Product to be removed from the home to complete repairs, but in such instances the Administrator will be responsible for all costs associated with transportation to and from the home. Please take precautions to protect software and data on Your Product before repairs. Exclusions: This Agreement excludes (a) damages caused by failure to maintain proper operating fluid levels, insect/rodent infestations or by other improper or negligent use of the Products; (b) damages caused by corrosion or rust; (c) theft or damage caused by flood, fire, hurricane, tornado, or all other acts of God other than damage caused by a power surge; (d) consumable items such as knobs, cabinetry, trim, antennas, software, disks, needles, cartridges, glass, bulbs, belts, blades, tires, oil, filters, spark plugs, batteries, etc. ; (e) commercial use of the Product; (f) routine cleaning and maintenance of the Product, as detailed in the owner’s manual for Products such as air conditioners and lawn and garden Products; (g) special, consequential or indirect damages, whether by contract, tort, or negligence; (h) verified food loss damages in excess of $150 on refrigerators and $250 on freezers; (i) damages/repairs covered by owner’s other insurance coverage; or (j) use of the Product in a manner which would void the manufacturer’s warranty before or after the warranty period; (k) damage caused by accidents from liquid spills, drops, falls, initial TV installation, moving TVs to another location or other collisions (unless accidental damage coverage was purchased); (l) loss of data or software; (m) loss of function due to software modifications, rooting, unlocking, application (apps) installation, or any other modification from the factory installed software; (n) cell phone chargers, batteries, accessories; (o) damage as a result of causes other than ordinary prudent use for the purposes for which the Product was designed and (p) pre-existing conditions. Cancellation: Owner has the right at any time to request in writing to FWSC or through its Administrator, which is Conn’s, the cancellation of this Agreement. You may send Your written cancellation request to Conn’s at the street address provided above or by email as provided at www.conns.com. If the request to cancel is made within 30 days of the date of this Agreement, and if no claim was made under this Agreement prior to the cancellation request, this Agreement will be void and the full purchase price will be refunded to You at Your address on the invoice referenced above. If a claim was made within 30 days of the date of this Agreement, You will receive the full purchase price less the cost of any claims. If You cancel this Agreement after 30 days of the date of this Agreement, You will receive a pro-rata refund based on the time expired from the date of this Agreement as a percentage of the total term of this Agreement, less a $25 cancellation fee or 10% of the purchase price of this Agreement (whichever is less), less the cost of any claims paid under this Agreement. These provisions apply only to the original purchaser of this Agreement. In the event FWSC elects to cancel this Agreement, a written notice will be mailed to You at Your last known address at least 5 days prior to cancellation, which notice shall state the effective date of cancellation and the reason for cancellation. However, prior notice is not required if the reason for cancellation is a material misrepresentation relating to the covered property or its use, or a substantial breach of duties relating to the Product or its use. FWSC may cancel this Agreement at any time only for breach of contract, fraud or a material misrepresentation by You in obtaining this Agreement or presenting a claim for service, or for nonpayment by You, or if required to do so by a regulatory authority, and in the event of such cancellation a refund of 100% of the amount paid will be made to You, subject to the following sentence. Any refunds made by FWSC will be reduced by any amounts paid on Your behalf for repairs of the Product. The Cancellation terms stated above are further subject to the LTO Arrangement terms found in section 3 above. Insurance: The obligations under this Agreement are guaranteed by an insurance policy issued by American Bankers Insurance Company of Florida. If We fail to pay or provide service on a claim within 60 days after You have submitted Your claim to Us or the Administrator, You may file a claim directly with American Bankers Insurance Company of Florida at the following address: 11222 Quail Roost Drive, Miami, FL 33157 or call the toll-free number at 1-800-852-2244. Renewal: This Agreement is not renewable. With respect to appliances and consumer electronics, We will make reasonable efforts to provide replacement items of similar mechanical capabilities and/or efficiency of the original unit, when available at Conn's. We are not liable to provide exact match in color, dye, lot, material, type or brand. If We determine that the defective item or a comparable item is no longer available at Conn's, at Our discretion, We may elect to give you a store credit. In such cases, the amount of such credit shall be equal to the original purchase cost of the defective item. For any replacement system, We are not responsible for the cost of the construction, modifications, or carpentry made in order to accommodate the replacement, nor for any costs to upgrade or modify items for any reason. With respect to all furniture, We will make reasonable efforts to provide an exact match, when available at Conn's. We are not liable to provide exact match in color or dye to address potential fading of other furniture pieces which have occurred over time. If the defective furniture item is no longer available at Conn's, at Our discretion, We may give You a store credit. In such cases, the amount of such credit shall be equal to the original purchase cost of the defective item. The Limit of Liability terms stated above are further subject to the LTO Arrangement terms found in section 3 above. Transfer This Agreement is transferable upon FWSC or its Administrator receiving a written request from the original owner, or under a LTO Arrangement, the original Lessee who has acquired full ownership of this Agreement and the Product. The written request may be sent to Conn’s at the address listed above or by email as provided at www.conns.com. This instrument sets forth the entire agreement between the parties and no representation, promise or condition not contained herein shall modify its terms. If services are required that are not included in this Agreement, they will be provided at regular repair rates. Privacy: Owners Obligation to Protect Private And Personal Information. It is Your sole responsibility to secure or remove all data, including confidential, proprietary or personal information from the Product, including, without limitation, SIM cards, memory cards, passwords, contacts, email, pictures or calendars. Consult Your Users Guide to learn how to erase, secure or remove such information. Administrator shall not be responsible for the loss or disclosure of any data, including confidential, proprietary or personal information on any Product. Arbitration or Mediation: If You and FWSC through its Administrator cannot agree to a satisfactory resolution of any dispute regarding the repair or replacement of the Product covered by this Agreement, after the completion of the process described in Item 10 of this Agreement, and after reasonable efforts on the parts of You and FWSC through its Administrator to resolve any remaining issues, OR if You feel that FWSC or its Administrator is not complying with its obligations under this Agreement, the following actions are available to You under the terms of this Agreement. If You do not understand these provisions and actions We recommend You seek advice of an attorney to assist You in understanding Your rights of enforcement of the terms of this Agreement. You thus GIVE UP YOUR RIGHT TO GO TO COURT to assert or defend your rights under this Agreement (EXCEPT for matters that may be taken to SMALL CLAIMS COURT). As used in this Provision, "You" and "Your" mean the person or persons named in this Agreement, and all of his/her heirs, survivors, assigns and representatives. And, "We" and "Us" shall mean the Obligor identified above and shall be deemed to include all of its agents, affiliates, successors and assigns, and any retailer or distributor of its products (including without limitation Conn's), and all of the dealers, licensees, and employees of any of the foregoing entities. Any and all disputes arising out of or relating to this Service Agreement or any prior agreement between the parties, including without limitation the breach of any such agreement(s), shall be resolved exclusively in accordance with the Dispute Resolution Program, the last step of which is binding arbitration before a single arbitrator. If mediation does not resolve the dispute or mediation is not demanded, any and all disputes shall be resolved either by 1) binding arbitration before a single arbitrator or 2) if the dispute is within the scope of its jurisdiction, a small claims court. Arbitrations shall be administered by the AAA in accordance with its Expedited Procedures of the Commercial Arbitration Rules and the Supplementary Procedures for Consumer-Related Disputes in effect at the time the claim is filed with the AAA. The terms of this Provision shall control any inconsistency between the AAA's Rules and this Provision. You may obtain a copy of the AAA's Rules by calling (800) 778-7879 or visiting the AAA’s Web Site at www.adr.org. The fees for the arbitration will be set by the arbitrator in accordance with the Supplemental Procedures for Consumer-Related Disputes. The arbitrator shall apply relevant substantive law and applicable statute of limitations and shall provide written, reasoned findings of fact and conclusions of law. THE ARBITRATOR IS EMPOWERED TO GRANT WHATEVER RELIEF WOULD BE AVAILABLE IN COURT UNDER LAW OR IN EQUITY, INCLUDING WITHOUT LIMITATION REMEDIES UNDER ANY APPLICABLE CONSUMER PROTECTION STATUTE. The arbitration shall take place at a mutually convenient location or, should the parties fail to agree, at any time and place designated by the arbitrator in accordance with the Supplemental Procedures for Consumer-Related Disputes. This Provision is part of a transaction involving interstate commerce and shall be governed by the Federal Arbitration Act, 9 U.S.C. § 1 et seq. If any portion of this Arbitration Provision is deemed invalid or unenforceable, it shall not invalidate the remaining portions of the Arbitration Provision. This Arbitration Provision shall inure to the benefit of and be binding on You and Us and its Provision shall continue in full force and effect subsequent to and notwithstanding the expiration of termination of this Agreement. Notice for Alabama residents: Free Look: You may, within 20 calendar days of receipt or 10 days of delivery of the Agreement, reject and return this Agreement. Upon return of the Agreement within the applicable time period, if no claim has been made, You will be refunded the full purchase price. A 10% penalty per month will be added to a refund that is not paid or credited within 45 days after return of the Agreement. This provision applies only to the original purchaser of this Agreement. The following is added to the Cancellation provision: No claim incurred or paid shall be deducted from any Cancellation refund, regardless of who initiates the Cancellation. Prior notice of Cancellation is not required if the reason for Cancellation is nonpayment of the Provider fee or material misrepresentation. Notice for Arizona residents: The following is added to this Agreement: You have a duty to comply with the instructions on the owner’s manual. The Exclusions provision, item (p) is deleted and replaced with the following: (p) pre-existing conditions, except if such conditions were known or should reasonably have been known by Us or Our subcontractors. The following is added to the Cancellation provision: No claim incurred or paid will be deducted from any cancellation refund regardless of who initiates the cancellation. We will not cancel or void this Agreement due to acts or omissions of Us or Our subcontractors for failure to provide correct information or to perform the services or repairs provided in a timely, competent, workmanlike manner, pre-existing conditions that were known or should have reasonably been known by Us or Our subcontractors, prior use, or unlawful acts relating to the Product or misrepresentation by the Administrator or its subcontractors, or program ineligibility. All reference to a cancellation fee is deleted and replaced with a cancellation fee of ten percent (10%) of the gross amount paid for Your Agreement or twenty-five dollars ($25), whichever is less. The following is added to THE DISPUTE RESOLUTION PROGRAM (MEDIATION AND ARBITRATION) provision: Arbitration cannot be an absolute dispute remedy and both parties must agree to arbitration. This arbitration provision does not prohibit an Arizona resident from following the process to resolve complaints under the provisions of A.R.S. §20-1095.09, Unfair trade Practices as outlined by the Arizona Department of Insurance. To learn more about this process, You may contact the Arizona Department of Insurance at 100 North 15th Avenue, Suite 102, Phoenix, AZ 85007-2624, Attn: Consumer Affairs. You may directly file any complaint with the A.D.O.I. against a Service Company issuing an approved Service Contract under the provisions of A.R.S. §§ 20-1095.04 and/or 20-1095.09 by contacting the Consumer Affairs Division of the A.D.O.I., toll free phone number 800-325-2548. Notice for Colorado residents: This Agreement includes Your invoice for the Product and the Agreement. Non-original manufacturer’s parts may be used for repairs. The Cancellation provision is amended as follows: Prior notice is not required if the reason for cancellation is nonpayment by You, a material misrepresentation relating to the covered property or its use, or a substantial breach by You relating to the Product or its use. Free Look: You may within 20 calendar days of mailing of the Agreement, or 10 days if delivered at time of sale, reject and return this Agreement. Upon return of the Agreement within the applicable time period, if no claims have been made, You will be refunded the full Agreement price. A 10% penalty per month shall be added to a refund that is not paid or credited within 45 days after the return of the Agreement. The provision applies only to the original purchaser. Notice for Georgia residents: Exclusions: This Agreement does not provide coverage for any and all pre-existing conditions known by You that occur prior to the effective date of this Agreement. The Cancellation provision is deleted and replaced with the following: Owner has the right at any time to request in writing to FWSC or through its Administrator, which is Conn’s, the cancellation of this Agreement. You may send Your written cancellation request to Conn’s at the street address provided above or by email as provided at www.conns.com. If the request to cancel is made within 30 days of the date of this Agreement, the full purchase price will be refunded to You at Your address on the invoice referenced above. If a claim was made within 30 days of the date of this Agreement, You will receive the full purchase price. In the event FWSC elects to cancel this Agreement, a written notice will be mailed to You at Your last known address at least 30 days prior to the effective date of cancellation, which notice shall state the effective date of cancellation and the reason for cancellation. If this Agreement is cancelled by FWSC, We will refund the unearned Agreement purchase price to You calculated on a pro rata basis. If cancelled by FWSC and We fail to refund the unearned pro-rata Agreement purchase price by the cancellation effective date, We shall pay You a penalty equal to 25% of the unearned Agreement purchase price and interest equal to 18% per annum until such time that proper return is made, which penalty and interest must be paid at the time the return is made; provided however, the maximum amount of such penalty and interest shall not exceed 50%of the amount of the refund due. The penalty does not apply to nonpayment by You. Failure to provide such refund shall not invalidate the notice of cancellation. If You cancel this Agreement after 30 days of the date of this Agreement, You will receive a pro-rata refund based on the time expired from the date of this Agreement as a percentage of the total term of this Agreement. These provisions apply only to the original purchaser of this Agreement. FWSC may cancel this Agreement at any time only for fraud, material misrepresentation by You in obtaining this Agreement or presenting a claim for service, or for nonpayment by You. No claim incurred or paid nor any cancellation or administrative fees shall be deducted from any refund owed. Arbitration or Mediation and THE DISPUTE RESOLUTION PROGRAM (MEDIATION AND ARBITRATION) provisions are deleted. Notice for Louisiana residents: Arbitration or Mediation and The Dispute Resolution Program (mediation and arbitration) provisions are deleted. Notice for New Mexico residents: Notice: The purchase of this Agreement is not required in order to purchase any product. The following is added to the Cancellation provision: We may not cancel this Agreement once it has been in effect for 70 days, except under the following conditions: (a) failure to pay the Agreement Price; (b) the conviction of You of a crime which results in an increase in the Service required under the Agreement; (c) fraud or material misrepresentation by You in purchasing the Agreement or obtaining Service; (d) or the discovery of an act or omission, or a violation of any condition of the Agreement by You which substantially and materially increases the Service required under the Agreement. In the event FWSC elects to cancel this Agreement, a written notice will be mailed to You at Your last known address at least 15 days prior to cancellation, which notice shall state the effective date of cancellation and the reason for cancellation. The following statement is deleted in its entirety: However, prior notice is not required if the reason for cancellation is a material misrepresentation relating to the covered property or its use, or a substantial breach of duties relating to the Product or its use.Free Look: You may, within 20 days of the date mailed or 10 days of delivery of the Agreement, reject and return this Agreement. Upon return of the Agreement within the applicable time period, if no claim has been made, the Agreement is void and You will be refunded the full purchase price. A 10% penalty of the purchase price will be added to the refund for each 30-day period or portion thereof that the refund, and any accrued penalties, is not paid or credited within 45 days after return of the Agreement. This provision applies only to the original purchaser of this Agreement. The Insurance provision is deleted and replaced with the following: The obligations under this Agreement are guaranteed by an insurance policy issued by American Bankers Insurance Company of Florida. If We fail to pay or provide service on a claim within sixty (60) days after You have submitted Your claim to Us or the Administrator, You may file a claim directly with American Bankers Insurance Company of Florida at the following address: 11222 Quail Roost Drive, Miami, FL 33157 or call the toll-free number at 1-800-852-2244. If You have any concerns regarding the handling of Your Claim, You may contact the Office of Superintendent of Insurance at 855-427-5674. Notice for Nevada residents: Emergency Repairs: If You have an emergency which involves the loss of heating or cooling to Your covered Product and the emergency renders a dwelling unfit for a person to live in because of defects that immediately endanger the health and safety of the occupants of the dwelling, repairs will begin within twenty-four (24) hours after the report of Your claim and will be completed as soon as reasonably practicable thereafter. If We determine that the repairs cannot be practicably completed within three (3) calendar days after the report of the claim, We will provide a status report to You at Your last known address and the Commissioner by electronic mail at pcinsinfo@doi.nv.gov no later than three (3) calendar days after the report of the claim. Notice: This Agreement will not be initially issued to any product whose original warranty has ever been voided by the manufacturer. However, if this Agreement has already been issued and the manufacturer's warranty becomes void during the term of this Agreement, We will not automatically suspend all coverage. We will not provide any coverage that would have otherwise been provided under the manufacturer's warranty. However, We will continue to provide any other coverage under this Agreement, unless such coverage is otherwise excluded by the terms of this Agreement. The following is added to the If You Need Service provision: If You are not satisfied with the manner in which We are handling the Claim on Your Agreement, You may contact the Commissioner by calling the toll-free number, (888) 872-3234. Free Look: You may, within 20 calendar days of receipt or 10 days of delivery of the Agreement, reject and return this Agreement. Upon return of the Agreement within the applicable time period, if no claim has been made, You will be refunded the full purchase price. A 10% penalty per month will be added to a refund that is not paid or credited within 45 days after return of the Agreement. This provision applies only to the original purchaser of this Agreement. If this Agreement is returned within the first 30 days of purchase and a refund is not credited within 45 days after the return, We shall pay the holder a penalty of 10% of the purchase price for each 30 day period or portion thereof that the refund, and any accrued penalties, remain unpaid. This provision applies only to the original purchaser. The following is added to the Cancellation provision: We may not cancel this Agreement once it has been in effect for 70 days, except for the following conditions: failure by You to pay the Agreement Price; the conviction of You of a crime which results in an increase in the service required under the Agreement; fraud or material misrepresentation by You in purchasing the Agreement or obtaining service; the discovery of an act or omission, or a violation of any condition of the Agreement by You which substantially and materially increases the service required under the Agreement; or a material change in the nature or extent of the service required under the Agreement which occurs after the purchase of the Agreement and substantially and materially increases the service required beyond that contemplated at the time of purchase. This provision applies only to the original purchaser. No claims or repairs incurred may be deducted from any refund. If FWSC cancels this Agreement, We will not deduct a cancellation fee. The purchase of the Agreement as a condition of approval of a loan or the purchase of goods is not permitted. In the event FWSC elects to cancel this Agreement, no cancellation may become effective until at least 15 days after the notice of cancellation is mailed to You. Notice for North Carolina residents: The following is added to the Cancellation provision: FWSC may not cancel this Agreement except for fraud or direct violation of the Agreement by You. The purchase of this Agreement is not required either to purchase or obtain financing for the covered Product. Notice for Oklahoma residents: Notice: The Oklahoma License number for Assurant Service Protection, Inc. is 862541. Coverage afforded by this Agreement is not guaranteed by the Oklahoma Insurance Guaranty Association. The Cancellation provision is deleted and replaced with the following: Owner has the right at any time to request in writing to Assurant Service Protection, Inc. or through Administrator, which is Conn’s, the cancellation of this Agreement. You may send Your written cancellation request to Conn’s at the street address provided above or by email as provided at www.conns.com. In the event the Agreement is cancelled by You within the first 30 days, and no claims have been made, the refund will be based upon 100% of the unearned pro rata premium. If You cancel the Agreement after 30 days or have made a claim within the first 30 days, the refund will be 100% of the unearned pro rata premium, less (a) 10% of the unearned pro rata premium or $25 dollars, whichever is less and (b) the actual cost of any service provided under this Agreement. In the event Assurant Service Protection, Inc. elects to cancel this Agreement, a written notice will be mailed to You at Your last known address at least 5 days prior to cancellation, which notice shall state the effective date of cancellation and the reason for cancellation. However, prior notice is not required if the reason for cancellation is a material misrepresentation relating to the covered property or its use, or a substantial breach of duties relating to the Product or its use. Assurant Service Protection, Inc. may cancel this Agreement at any time only for breach of contract, fraud or a material misrepresentation by You in obtaining this Agreement or presenting a claim for service, or for nonpayment by You, or if required to do so by a regulatory authority, and in the event of such cancellation a refund will be based upon 100% of the unearned pro rata premium, less the actual cost of any service provided under this Agreement. Arbitration: Non-binding Arbitration is applicable in Oklahoma. Notice for South Carolina residents: Free Look: You may, within 20 calendar days of mailing of this Agreement, or 10 days if delivered at time of sale, reject and return this Agreement. Upon return of this Agreement within the applicable time period, if no claims have been made, You will be refunded the full purchase price. A 10% penalty per month shall be added to a refund that is not paid or credited within 45 days after the return of this Agreement. This provision applies only to the original purchaser. Notice: If We do not timely resolve such matters within 60 days of proof of loss, You may contact the South Carolina Department of Insurance, P.O. Box 100105, Columbia, SC 29202-3105, or (800) 768-3467. All reference to check is deleted. The Cancellation provision is amended as follows: In the event FWSC elects to cancel this Agreement, a written notice will be mailed to You at Your last known address at least 15 days prior to cancellation. Notice for Texas residents: The Administrator Registration Number for Conn Appliances, Inc. is 140. Notice: If You have a question or complaint, You may contact the Texas Department of Licensing and Regulations, P. O. Box 12157, Austin, TX 78711, (512) 463-6599 or (800) 803-9202 (within TX only). Insurance: The obligations under this Agreement are insured by a policy of insurance issued by American Bankers Insurance Company of Florida, 11222 Quail Roost Drive, Miami, FL 33157. In the event any covered service is provided to You by the Us before the 61st day after the proof of loss has been filed, or if a refund or credit is not paid before the 46th day after the date on which the Agreement is canceled; You may apply directly to American Bankers Insurance Company of Florida. The purchase of this Agreement is not required in order to purchase or obtain financing. The following is added to the Cancellation provision: Prior notice is not required if the reason for Cancellation is nonpayment of the Purchase Price, a material misrepresentation by You relating to the covered property or its use, or a substantial breach of Your duties relating to the Product or its use. We will pay a penalty of 10% per month on any Cancellation refund that is not paid or credited within 45 days after return of the Agreement to Us. The right to cancel applies only to the original purchaser of the Agreement and is not transferable. If you have any complaints that are not resolved by FWSC or its Administrator, you may contact your local Better Business Bureau or the Office of the Attorney General of your state of residency: www.aldoi.gov;www.azag.gov; www.colorado.gov; www.ag.state.la.us; www.mid.ms.gov; www.nmag.gov; www.ncdoi.gov; http://ag.nv.gov; http://doi.sc.gov; www.TexasAttorneyGeneral.gov; www.tn.gov/insurance; or www.oag.state.ok.us.